The Application has been blocked from accessing graphics hardware. The issue mentioned above is not very common, but it does exist and is undoubtedly creating some annoying problems for users worldwide. Also, even if the error occurs frequently, the fixes are straightforward, and therefore the issues are not very dangerous if you take actions to resolve them. Another thing that you should keep in mind is that this error message is not only limited to Microsoft edge Browser but also may occur while playing games that are already installed in your computer or even while doing some random tasks. The actual reason behind the Application has been blocked from accessing graphics hardware error on Windows 10 is pointed out to outdated display drivers. 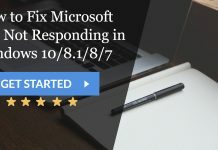 It makes it easy to resolve, but it may not always be the case because the error also has a chance to trigger by malware on your computer. Other reasons for the error would be registry issues or even damaged system files. Whatever the reason may be for the application has been blocked from accessing graphics hardware error, we have the best and easiest methods that you can use to resolve the issue on your computer without any professional help. So go through the steps and instructions carefully before attempting any of the methods so that you can do them without bumping into any errors that may even damage your system. 1. Press the Windows key + X and then from the list, select Command Prompt (Admin). 2. In the command prompt box, type in sfc /scannow command and then press Enter to run the command. 4. After all these commands have entered, then Close Command Prompt and then reboot your computer system. Moreover, sfcscan can also help you detect and fix any Hard Disk Problem in your PC. 5. After rebooting the computer wholly, check whether the application has blocked from accessing the graphics hardware error persists or not. 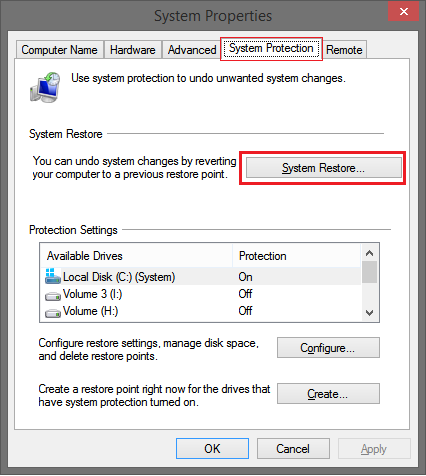 Creating a system restore points at times can be helpful when you are facing issues like this, you can completely restore your computer to the previous point which you saved. 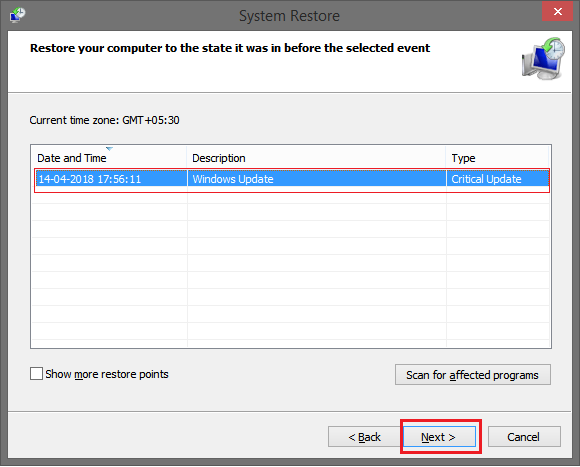 So, If you created a System restore point some time ago, then you can enable the system restore point and check if the application has blocked from accessing Graphics hardware issue can be resolved on Microsoft Edge. If you have been starting to experience the issue only recently, then System Restore could surely help you fix the problem. 1. Press on the Windows key + S and type Create a Restore Point. 2. When the new window opens, Select System Protection on that window. 3. Click on the System Restore option and then press Next. 4. 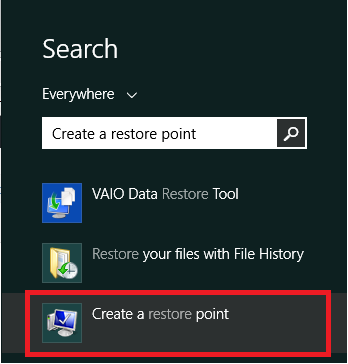 Select the last Restore Point that you have created and then click Next. 5. Click Finish and wait for the system to restore. 6. After that, restart the system. And check whether the graphics hardware blocked issue has resolved or not. 1. 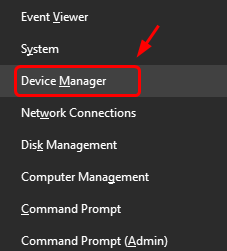 Right-click on the Windows button and select Device Manager. 2. 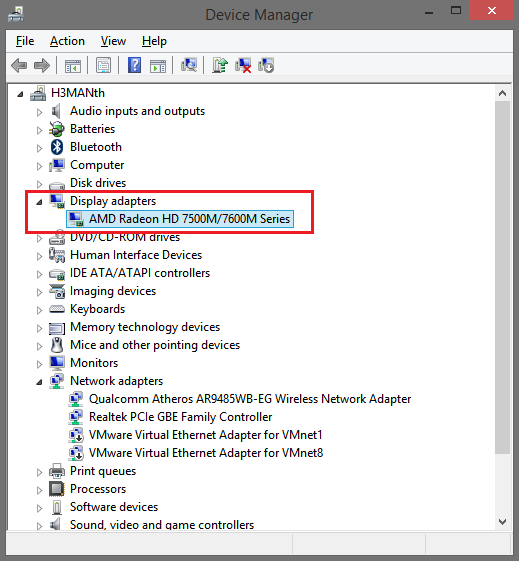 Look for the Display Drivers/adapters option on the left pane and click on it to expand. Also, check for any Display Driver Stopped Responding and Restored Notification in between. 3. Select your graphics driver and select Uninstall from the right-click context menu. 4. Click OK when the confirmation window pops up. Also, check this link if you wish to fix NVIDIA Driver Crashing in Windows 10. This is because most of the PCs have Nvidia Display Drivers. 5. Once the process gets finished, restart your PC. 6. Then go to the Device Manager as explained above. 7. Click Action tab on the toolbar. 8. 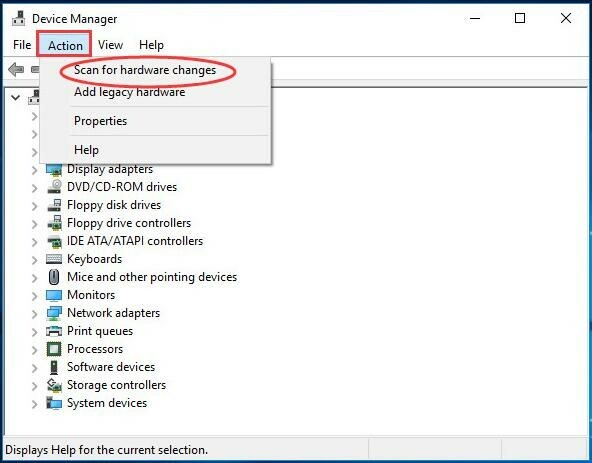 Select Scan for Hardware Changes. 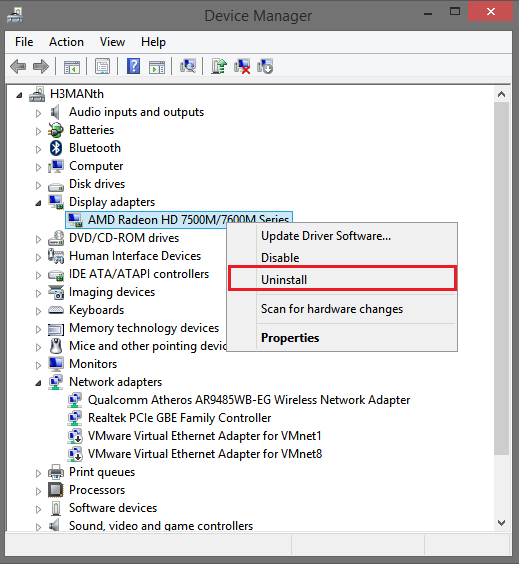 Now the system should automatically detect and reinstall the missing driver. 9. If for some reason this process fails, go to the manufacturer’s website and download the driver manually. This method needs expert supervision as you must find your RAM’s type before replacing it. We suggest that you give your RAM to an expert to check and determine if it is a faulty one. 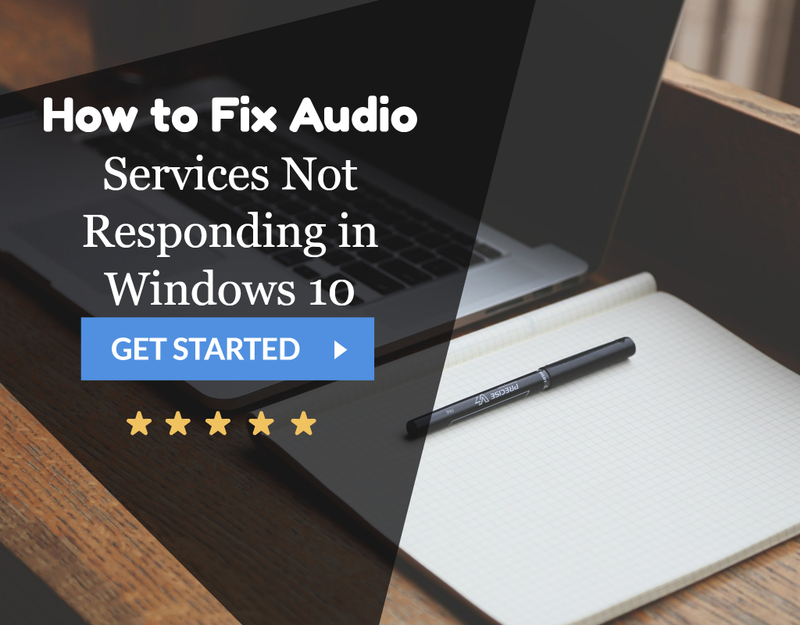 This can also help you fix any Windows 10 Random Restart Error or Slow Shutdown Error in your PC. If it is a faulty one, you must change it with a RAM of the same type and if you want you can replace with a higher memory RAM. Also, you must know about the sockets in your PC because you can install RAM only in a limited number of sockets. NOTE: Unplug your computer from any electric connection before opening it to check the RAM. If you have a laptop, we recommend removing the battery before opening. These are the best methods out there that you can use to resolve the application that has blocked from accessing the graphics hardware error on your Microsoft Windows PC. These methods can surely help you to resolve these issue when you do them correctly and carefully. We hope that these methods did be helpful in resolving the issue.